ODSC is proud to announce its keynote speakers for the East 2019 conference — six preeminent researchers and visionaries who will kick off the already expert lineup set to speak at the community-based event for data science practitioners and AI engineers. 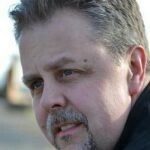 Contained in ODSC East keynotes is the story of modern data science and artificial intelligence. The research — and accomplishments — of the experts we’ve assembled charts a clear course from the beginnings of modern data science to the future of artificial intelligence. 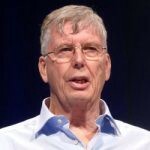 Michael Stonebraker was a co-creator of the ubiquitous relational database Ingres at UC Berkeley in 1973, enabling large storage and relatively fast transactional processing. 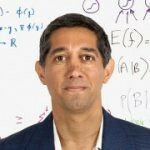 He hasn’t stopped creating industry-leading databases used for data mining and analytics since, from Postgres, to C-Store, to H-Store, to SciDB and now Tamr, released in 2013. 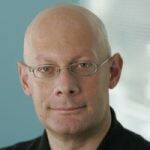 Usama Fayyad, a keynote at the Accelerate AI Business Summit, worked at NASA’s Jet Propulsion Lab in the ’80s and ’90s, winning the organization’s award for excellence in research for his machine learning work creating automated image recognition systems. Later in his career, he was named Chief Data Officer — the first person to hold that title in the industry — where he founded the Yahoo! Research Labs in 2004. A year later, that lab produced Hadoop. Babak Hodjat founded the company Dejima based on an agent-oriented software engineering platform he co-developed. Three years later, he and his company worked on DARPA’s Cognitive Assistant that Learns and Organizes (CALO) project — that research turned into Siri. His later research into evolutionary algorithms at his new company, Sentient Technologies, led to a well-publicized AI-based stock trading system and investment hedge fund. 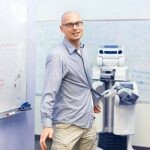 Pieter Abbeel is a leading roboticist whose viral video showing a robot doing housework demonstrated the potential near future of a home robot assistant. His work in reinforcement learning at the OpenAI research center — funded by Elon Musk et al. — spawned his own company, covariant.ai. 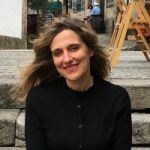 Regina Barzilay is a MacArthur fellow at MIT CSAIL who specializes in natural language processing. After her own battle with breast cancer, she now is researching how deep learning can be used to further oncology research. John C. Havens is the executive director of the IEEE’s Global Initiative on Ethics of Autonomous and Intelligent Systems, who through a partnership with the MIT Media Lab this year created the Council on Extended Intelligence, a group focusing on how AI and humans will work together ethically in partnership, rather than potentially more hostile applications. The ODSC 2019 keynotes will join hundreds of other speakers giving talks, trainings, and workshops on the latest advances in applied data science and AI at ODSC East over four days, April 30 to May 3 at the Hynes Convention Center in Boston. There will be more than 4,000 data scientists and AI engineers in attendance, as well as 60 of the industry’s top companies demoing tools and frameworks.